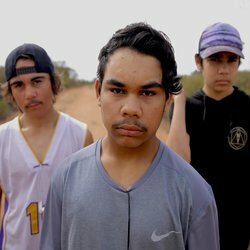 This project was part of an ongoing DPM project series called ‘Break It Down – Conversations around Mental Health’ funded by Western NSW Primary Health Network. The program looks to create awareness and conversation around wellbeing – breaking down stigmas of mental health, yarning, debriefing and connecting community with local health services. This project featured the musical direction and production of DPM producer Josh Nicholas (aka Hazy). BoggaMish - Where Ya From?